13 Resources to Calm your Mind and Body…these are some of my favorites! We live in a crazy world, but that doesn’t mean you have to feel crazy while you move through it. I’ve gathered some tools and some of my favorite life-changing mind-body connection healing tools and inspiration to help ground, center and soothe you as you navigate your life. Conscious Breath – close your eyes and your lips, as you take 3 deep breaths through your nose. Feel the breath as it moves down, expands your rib cage, inflates your belly and then moves back out again. Stretch – even if you are in a desk chair all day, it’s worth it to set a time for once per hour that reminds you to move. Stand up, interlace your fingers and stretch your palms up above your head. Side bend to one side and then the other. Kick out your legs. Heck, jump up and down a bit. Feel the movement in your body. Mini-Body Scan – pause to notice what you’re feeling in your body. I like to scan starting with my toes and moving all the way up, part by part and tuning in. No need to judge what you notice. No need to change anything. Just noticing is hugely calming for your whole system. Walk – if you can, make time to walk with consciousness a bit each day. This exercises both sides of your brain and conscious movement always help to ease the central nervous system. Express yourself – whether you write down how you are feeling or you verbally share it with a good friend, don’t hold it in! It’s healthy to share your thoughts, feelings, fears and joys – so let them out in your own way. Smile – even if you aren’t happy, try a fake smile to change the chemicals in your brain, which sense the curve of your lips and send out the same hormones that make your body think you are happy. You may be really smiling in no time. Stand tall – hunching, curling in and making your body small are proven to decrease confidence. Change your stance and take up space with your body and notice what else shifts within only 2 minutes. Interested in learning more about this? Check out this awesome TedTalk. Stress Less Reset – Ready to re-program your stress response? Try the 2-week online program I created that works with your mind, body, and your heart to shift you from the inside out. With it, you receive emails and guided recordings every other day. It’s only $25, valued at $99. Just One Thing (Blog) – Subscribe to Dr. Rick Hanson’s blog that provides simple weekly tips for happiness. 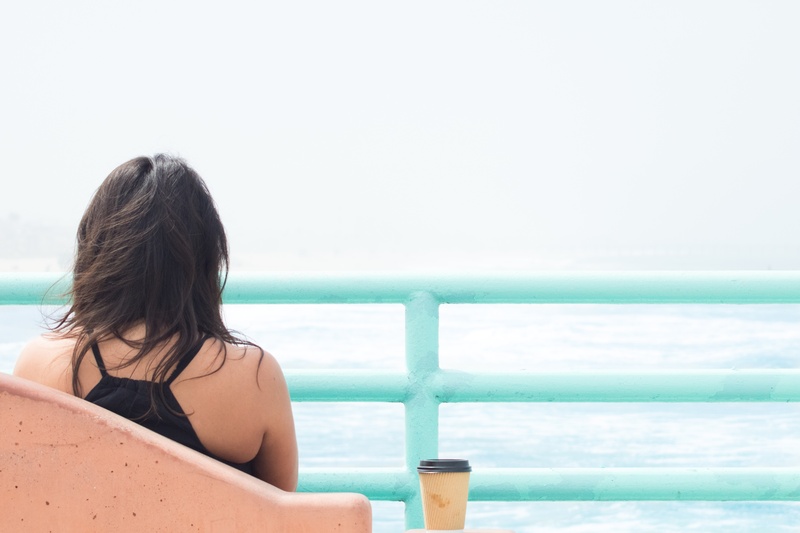 Be More with Less (Blog) – My great friend and inspiration, Courtney Carver, writes a practical and heartfelt blog that is all about keeping things simple to support you with connecting to what really matters. Her writing style is accessible to all and for me, her approach to her life has encouraged big changes in my life. How to Live a Good Life (Book & Podcast) – This is a phenomenal book that’s kind of like a workbook. It’s written by a mentor of mine who also has a fantastic podcast called The Good Life Project. If you are interested in growing yourself and your potential, I highly recommend you get a copy. It offers a structure, community support in a Facebook group and tangible action steps to move you toward your goals. On Being (Podcast) – The mix of mind, body and spiritual well-being are the focal points of this excellent podcast, hosted by Krista Tippet. She gets great guests and really knows how to drill down the heart of the matter. Good News Newsletter – The publication The Week has a column with the tagline: “It wasn’t all bad.” Subscribe for free to receive 1x/week headlines, blurbs and full articles about good news that happened all over the world. It’ll put a smile on your face and goosebumps up your arms. What would you add to the list? Email me to share your favorite tools and inspiration. I love hearing from you. P.S. Being human is a job and falling in love with life takes work…but the work can be enjoyable and is so fulfilling, don’t you think? P.P.S. Work on yourself and your life with others just like you in the free MindBodyWise Living Room group on Facebook. P.P.P.S. Get a free consultation with yours truly to learn how you can take a deeper dive into your own personal mind-body transformation.